In the coming months STMC is planning to make significant changes to its membership arrangements. For existing members the current system of annual renewals will be discontinued and all existing members will be offered life membership. New members will be asked to pay a one-off joining fee of £25. New members will also be asked to complete and sign a membership application form as at present. 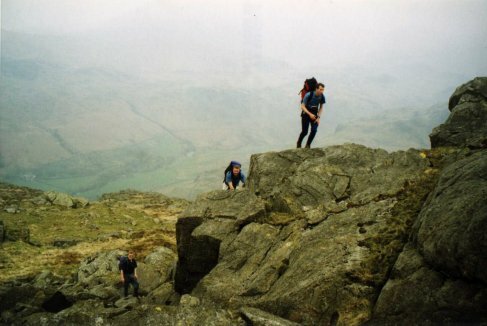 After the end of 2013 the Club will no longer maintain its affiliation to the British Mountaineering Council. Members who want to continue receiving the benefits of BMC membership (insurance, discounts, Summit etc) will be able to join BMC as individual members. Club activities will continue as at present: meets at roughly one per month, local walks, London socials and Xmas meals, and the main means of communication will be the E-News. At the moment we have not been through this website to reflect these changes, so please be aware that in future the club will operate as described here. London Social Evening. Nothing planned as of now. April 26 – 28: Swanage, Dorset. Camping. Sept 6 – 8: Panpunton, Shropshire / Welsh Borders, Camping. Oct 4 – 6: Dartmoor, Fox Tor Bunkhouse, Princetown. 12 places @ TBA each. Oct 25 – 27: Sedbergh, Fell End Bunkhouse. £14 places @ £31.20 each. Nov 22 – 24: Peak District, Sheen Bunkhouse near Buxton. 14 places @ TBA each. Please click on 'Meets List' to see more information on the meets.